Sometimes making choices is easy. Like choosing between knitting or crochet, pineapples or kiwis (hint: I HATE pineapples), driving or knitting, etc. And sometimes it’s not. Like choosing between the two background colours I have in mind for a brioche hat test knit I’ll be working on soon. For brioche, the key word is contrast and that’s what I’ll try to achieve here. 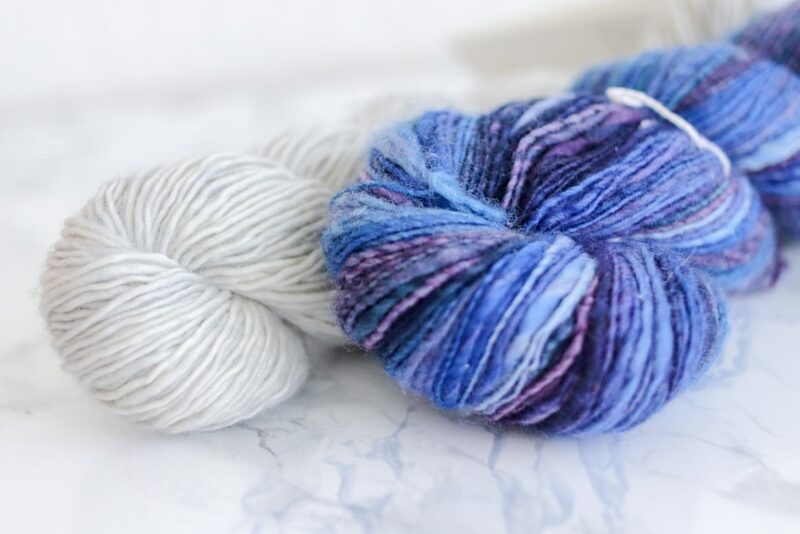 I plan to use one of my hand spun as the primary yarn for this one as the designer (Même les anges tricotent) does not need precise yardage measurements. 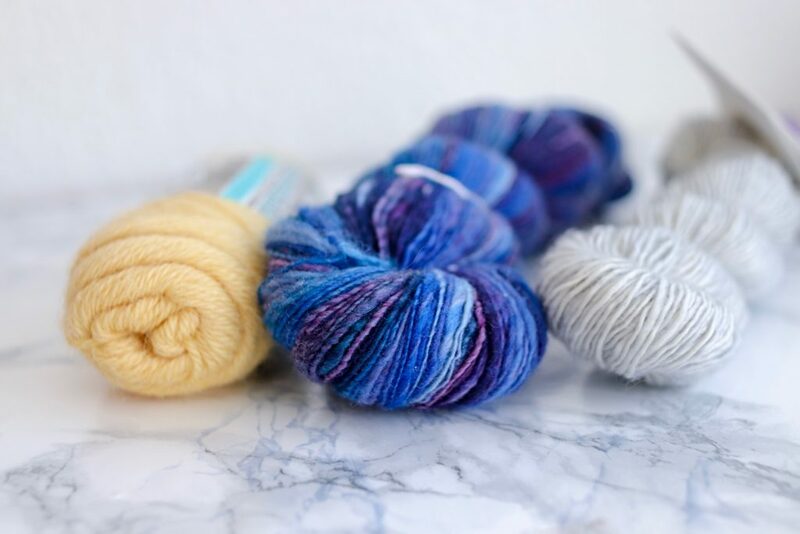 The hard choice I have to do now is to find the perfect contrasting yarn which will enhance all the subtil changes of colours of my precious single AND does not hide the stitch design. 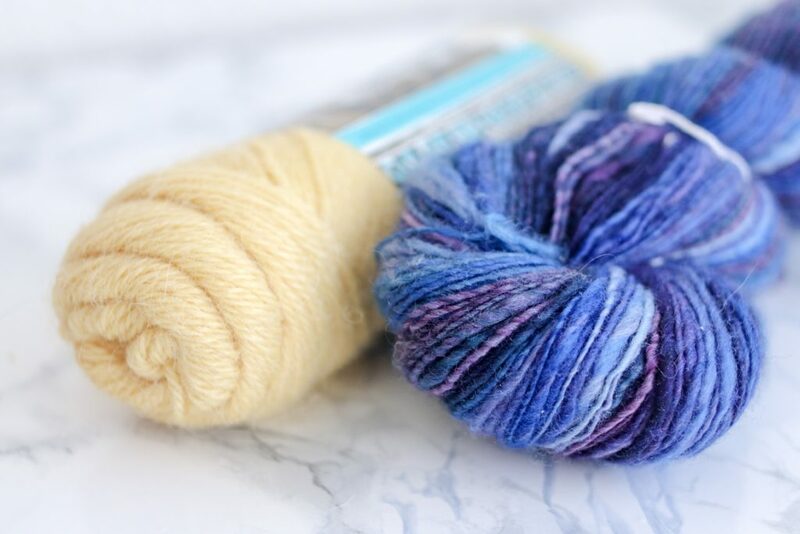 On one hand, I have a Silver Fox Madelinetosh Merino Light leftover which means it’s a neutral merino single, really similar to my hand spun. In the other hand I have a ball of Plassard Alpaca in yellow. So soft, and pretty, and soft (did I already say that?). Well I guess I’ll have to wait and see how my gauge turns out to decide which one is THE one. What would you do if you were in my shoes? Grey or yellow?